In this fall series of 3-week classes, Jan Olsson invites you to enjoy painting with a small group in the convivial atmosphere of her private studio overlooking the park André Citroën. 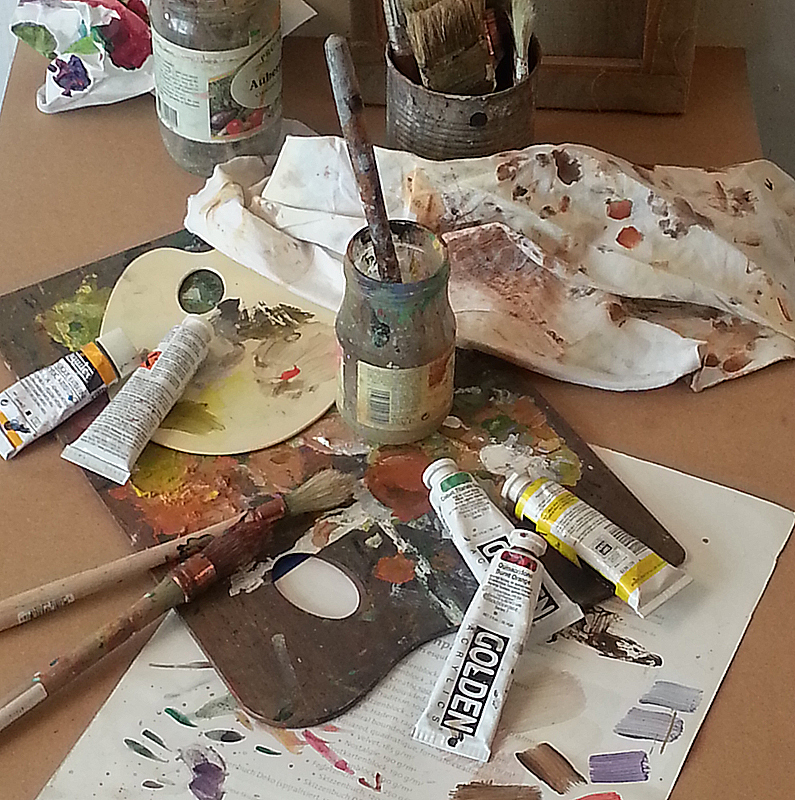 The course fee includes the following supplies: acrylic paints, gesso, paper and canvas. Students supply their own brushes and optional cover-up apron or smock. This class is open to beginners as well as those who wish to enhance their skills while receiving from instruction from a professional artist in a large, well-lit studio space with the added convenience of furnished supplies.